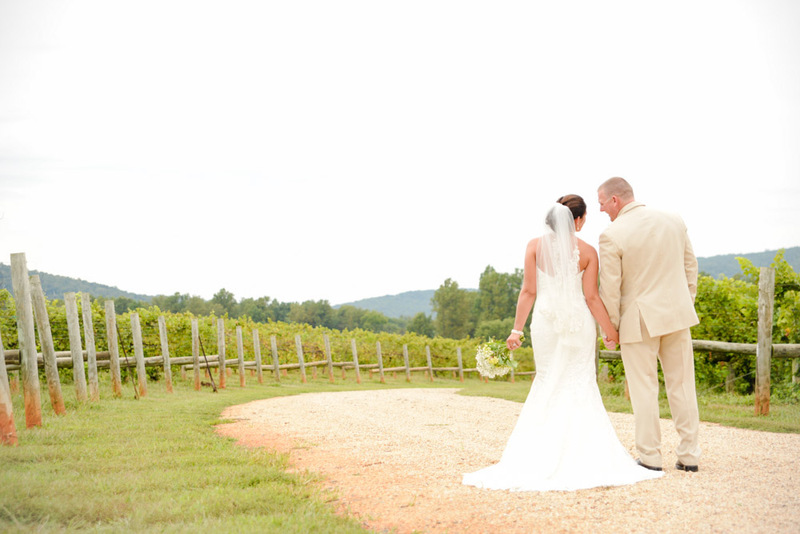 Congratulations to Aimee & Joshua who were married at Keswick Vineyards on Saturday, September 12th. The two of them could not of been happier with the weather that Mother Nature provided them. With overcast skies the temperature was just perfect and provided such beautiful lighting for their photos. I love the color of green that Joshua actually chose. 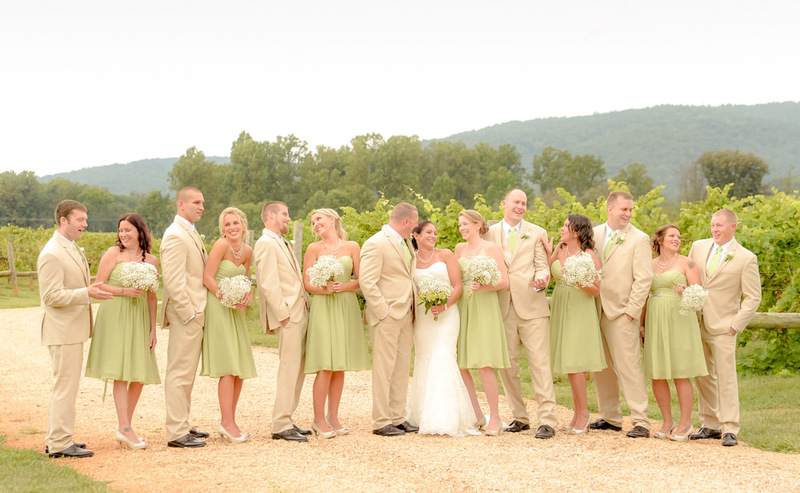 Accented with white baby breath bouquets and the men dressed in light tan made such a stylish wedding party. 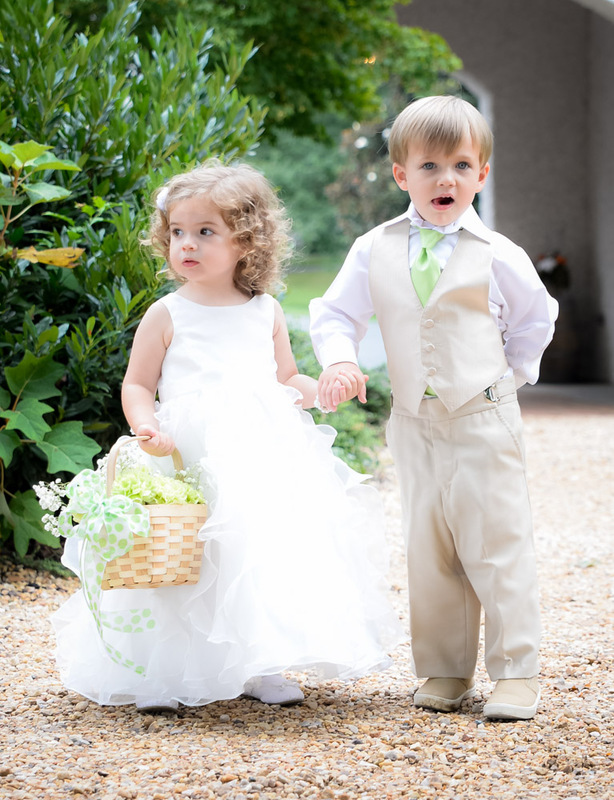 And let’s not forget about the cuteness that their flower girl and ring bearer brought. Adorable! 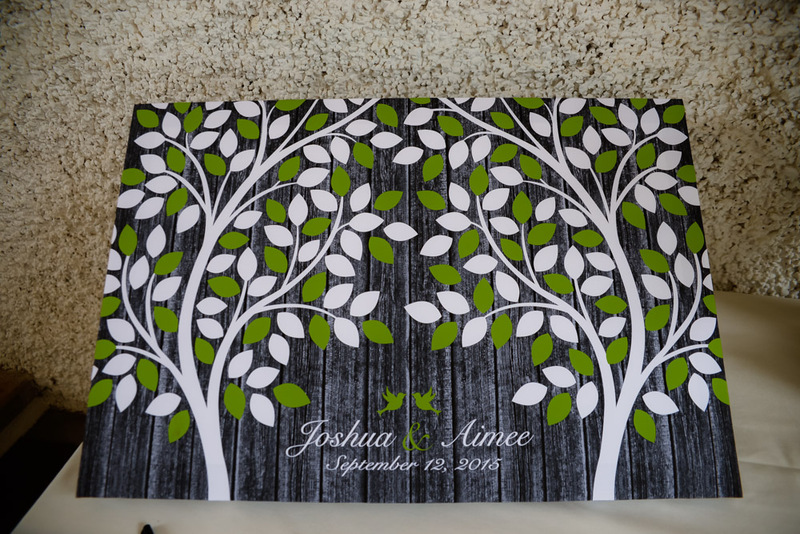 Instead of a guest sign in book they chose to have a matted tree print with leaves that each guests would sign. I’m sure they will be hanging that in their home. Thanks to Harvest Moon, guests enjoyed a delicious buffet dinner followed by all night dance under the direction of Dennis Payne of Playback DJ. 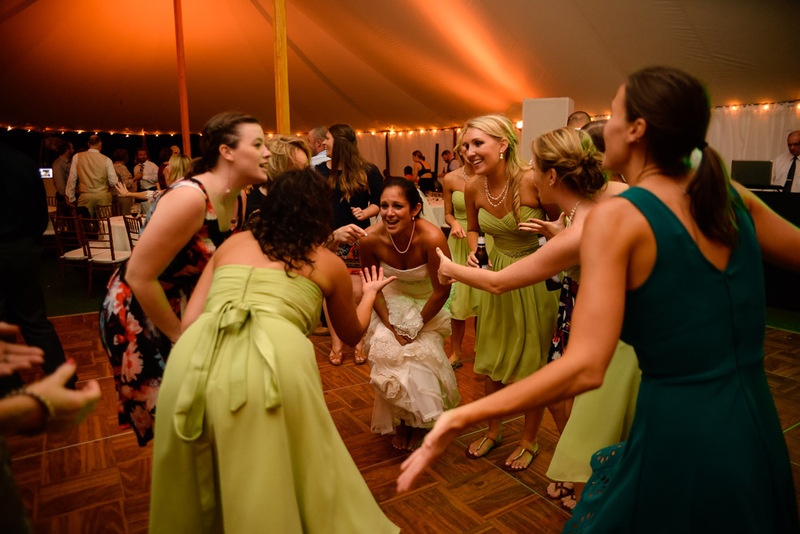 As you can see, the dancing was non-stop! 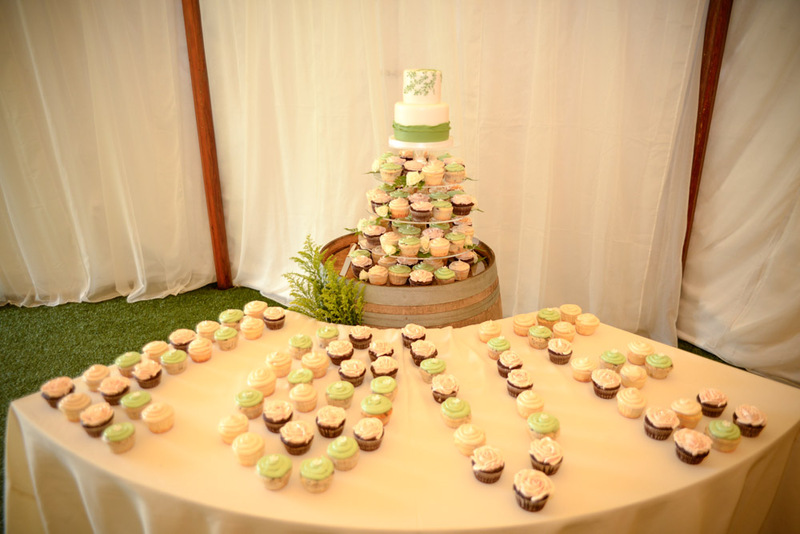 A sweet touch on the dessert table was to spell out the word LOVE with cupcakes. Cute, huh?